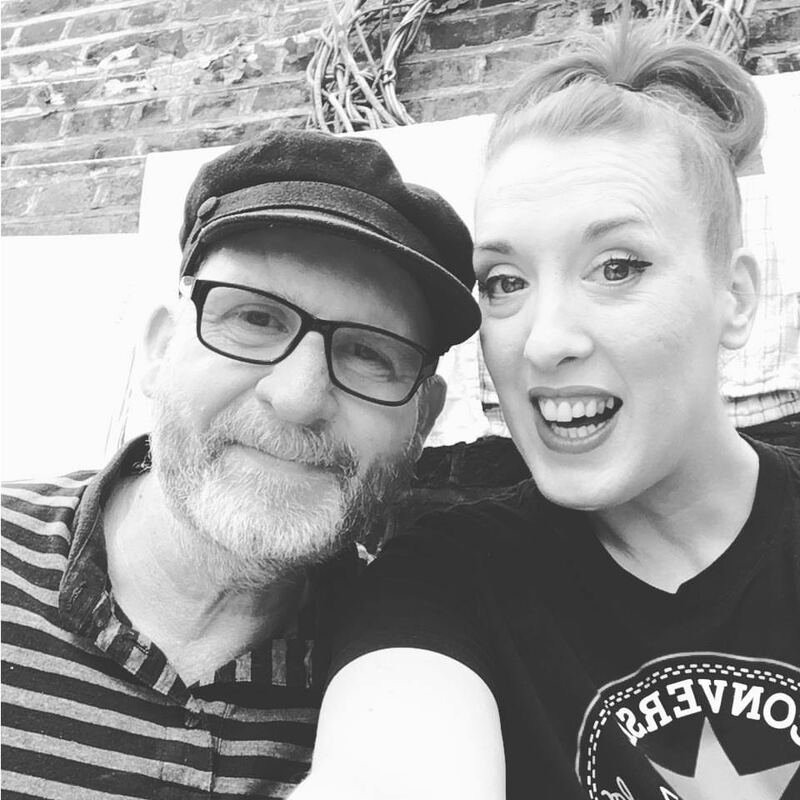 In the build up to Retro Man Blog's sold out "Kentish Longtails" album launch party Amy Kilroy-Buck gives her verdict on The Len Price 3's fifth album, which promises to be their best so far. 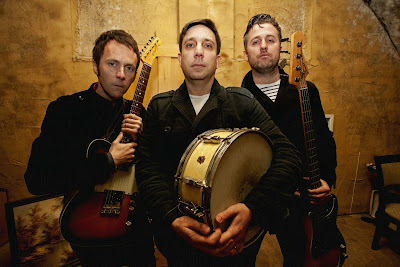 Medway based Power Pop Garage Rock three-piece The Len Price 3 have been making waves on the live music scene since the release of their first album “Chinese Burn” back in 2003. 14 years later the blazer-wearing trio (although not so much these days) are still playing sold-out London venues and album number five is just about to be released. Ask any LP3 fan what they like about the band and the answers are likely to be much the same; catchy riffs, snarling vocals from front-man Glenn Page, witty, acerbic lyrics and slick, swaggering performances that translate just as well on stage as in the studio. Five albums is a lot, and the quality has been consistently high but the question on my lips before I listened to their latest offering, “Kentish Longtails” was 'is this going to be more of the same?' I should mention that that is in no way intended as a criticism, 'more of the same' would still make for a great album of blistering tunes, but “Kentish Longtails” actually goes way beyond anything we've heard from The Lennies before, and is a pretty extraordinary record. Before you start to worry that they've deserted their traditional sound and started dabbling in Prog-Rock concept albums or any other silliness, don't; there is plenty here to keep the most die-hard fan happy; “Nothing I Want”, “Ride on Coat Tails” and “Saturday Morning Film Show” are all classic, riffy LP3 and would sit happily in amongst the current set. The same can also be said about “Childish Words”, a not very thinly veiled dig at Billy Childish. There's clearly a bit of history there, about which I shan't speculate, but it's a storming song all the same. “Lisa Baker” is an LP3 classic in the making, full of wry humour and with a trademark singalong chorus. So far, so Len Price 3, but nestling in amongst these catchy little numbers are some absolute gems where Messrs Page, Huggins and Fromow have really thrown the rule book out of the window. The piano led “Pocketful of Watches” is utterly different to anything else I've ever heard from this band, but right from the first listen it's a captivating track. The lyrics are from a far more poetic LP3 than we're used to ('a box of rainbows waits for me' is a long way from “London Institute”) and the overall effect is a gloriously sunny pop song that may catch many existing fans off guard, but is impossible to dislike. “Telegraph Hill” similarly takes the band into previously uncharted love song territory, but with its Kinks-eque chorus and quietly wistful lyrics it's a sure-fire winner. 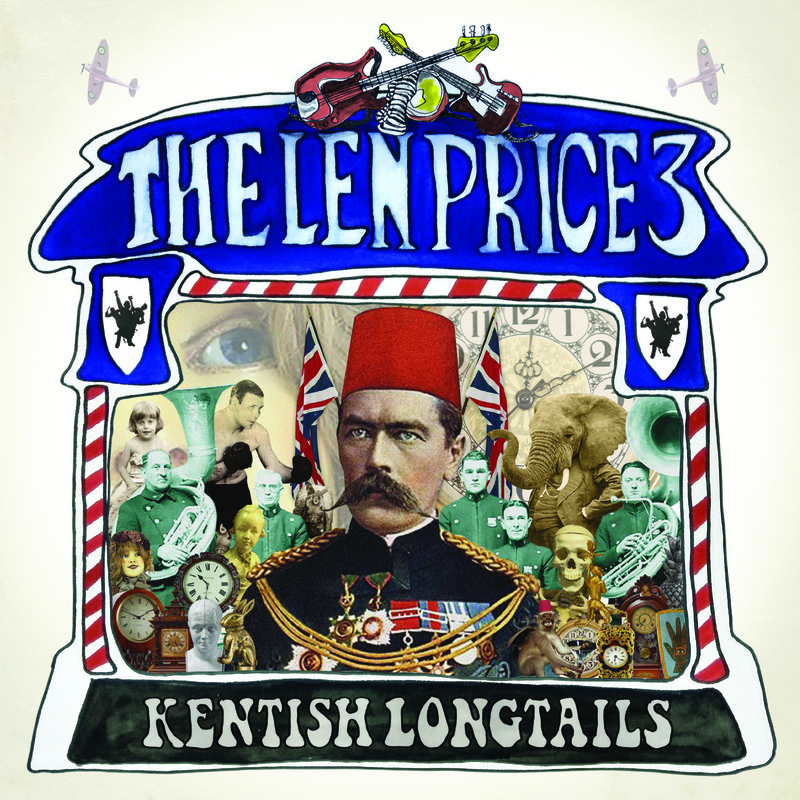 The Len Price 3 are a band who have always done their own thing regardless of expectation and this has the feel of an album in which they haven't tried to cater to audience demands but have experimented with different styles, gone slightly off-piste and generally had fun. 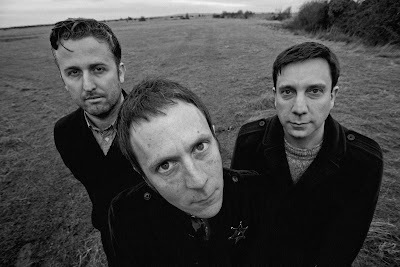 There are elements of Britpop in there, hints of psychedelia; comparisons with The Who are unavoidable on “Stop Start Lilly”, but throughout they still maintain their own very distinctive sound. This is the fifth album of a band who have no intention of picking the safe option, and I admire them for it. “Kentish Longtails” could have been 'more of the same', but it's turned out to be so much more than that. It's a fantastic album, go and buy it. Unfortunately, the new album launch party has completely sold out now and sorry but there will be NO tickets available on the night. 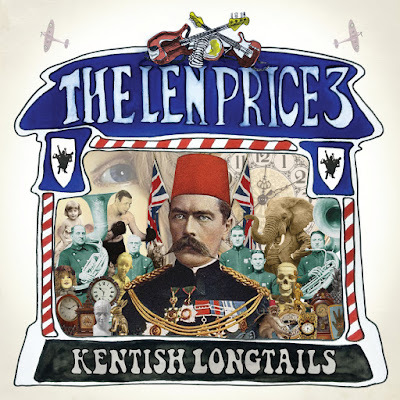 For more information on future gigs and how to order "Kentish Longtails" then please head on over to The Len Price 3's official web-site here or check out their Facebook page here. 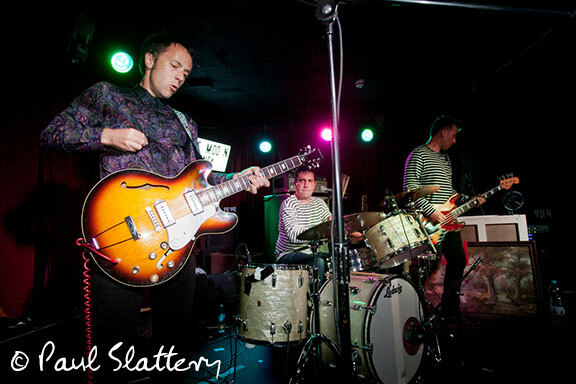 Photos copyright Paul Slattery. With thanks to Amy for the review. Can you name me a perfect album? I’m talking about an album you can play from side one track one right through to the end without skipping a track? One where every song is a potential hit single and the timeless production means you won’t be cringing in twenty years’ time. Where the title and the cover art perfectly complement each other and the lyrics and music within. Go on, be honest…It’s more difficult than you think isn’t it? 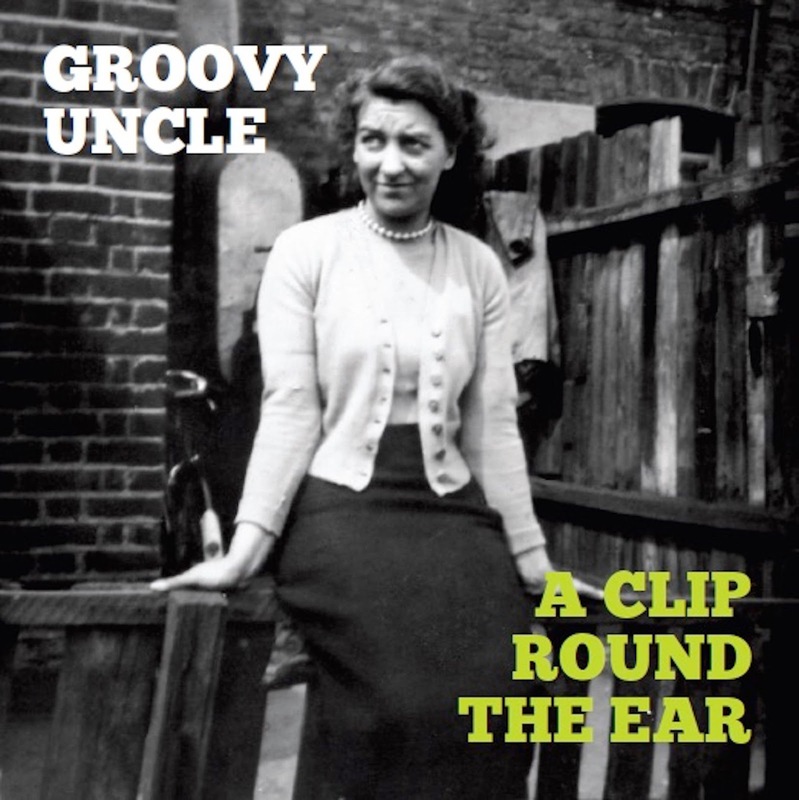 Well, Groovy Uncle have just nailed it with the release of their Sixth album “A Clip Round The Ear”, they have delivered that very rare commodity – a perfect album. It's an eclectic romp through Garage Rock, Freakbeat, Tropicália, Soul and Beatles inspired guitar pop. 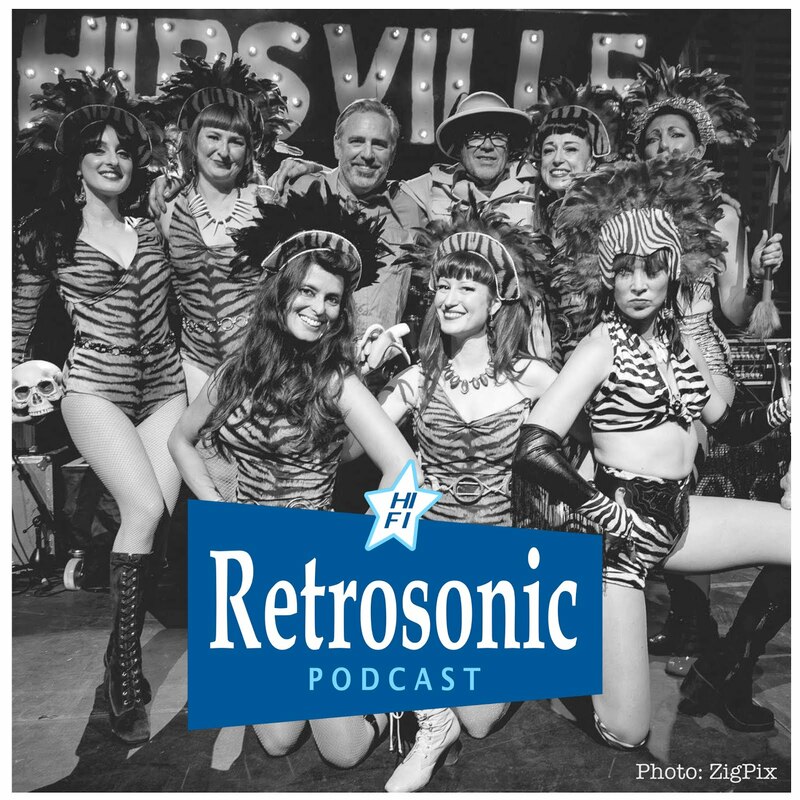 Think The Attack, The Small Faces, The Move and The Who mixed up with The Detroit Cobras, Sergio Mendes and Dusty Springfield and you might get an idea of what we are looking at here. 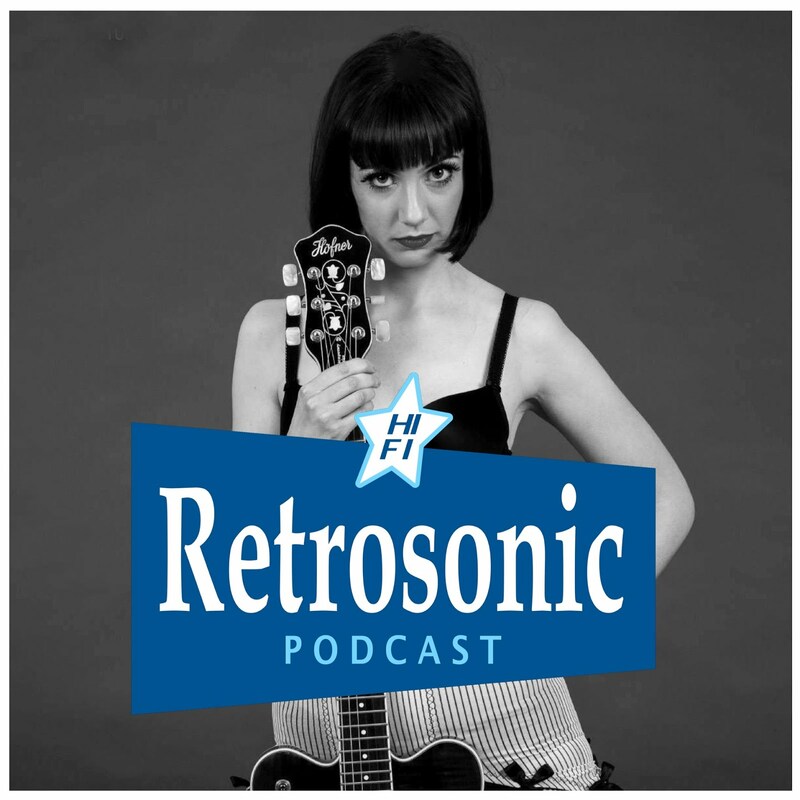 But don’t just take my word for it…first of all Amy Kilroy-Buck gives her verdict on “A Clip Round The Ear” and then we chat to the Groovy Uncle himself, Glenn Prangnell. "Until a few months ago I was, shamefully, unaware of Groovy Uncle. Luckily for me, YouTube had begun to catch on to my musical preferences and the name kept appearing in the recommended videos. I clicked on a link (“Count On Me” if anyone's interested) and I was hooked. For the uninitiated, Groovy Uncle isn't exactly a band, more a musical collective featuring a whole host of musos including (on this album) Allan Crockford, Jim Riley, Mole Lambert, Jon Barker and Wolf Howard with songwriter Glenn Prangnell at its centre, and often featuring Cardiff songbird Suzi Chunk. Possibly because of the ever changing line-up and possibly because Glenn seems to have a talent for writing in so many different styles, you can't pin Groovy Uncle down to a genre and the songs bounce happily from Sixties flavoured Pop to Soul with a detour through Garage and the occasional flirtation with Bossa Nova. Pressed on rather eye-wateringly lurid green vinyl, ”A Clip Round The Ear” is notable both for what it isn't and what it is. It's not an album that sits within a genre or is easy to define but it is both musically superb and full of surprises. One of the things that I've really enjoyed about previous Groovy Uncle releases is the mixture of chirpy, witty, story songs alongside your more traditional pop songs and ballads and “A Clip Round The Ear” delivers on both counts, although the feel is more nostalgic and the characters a little more sinister. “Oil and Colour Man” in particular made me picture a hybrid of Stanley Unwin and Keith Moon as Uncle Ernie, and if that's not sinister then I don't know what is. Attention to detail is always a key theme with Groovy Uncle, and this album really does demand a 'proper' listen with decent headphones because there is one hell of a lot going on. The songs are multi-layered and intricate with luxuriously full harmonies and of course, the mighty set of lungs belonging to Suzi Chunk. 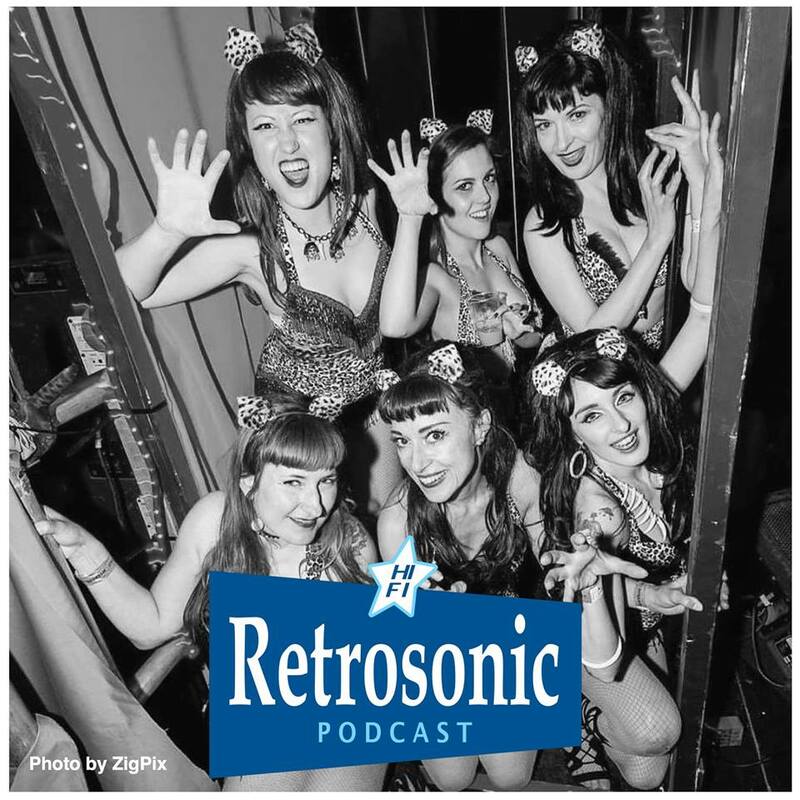 Suzi purrs, snarls and growls her way through her songs and effortlessly swoops from the swaggering attitude of “To The Moon and Back” to the velvety gorgeousness of “The Scheme of Things” and “Things I've Been Meaning to Say”. “Got Up and Gone” and “Now Your Pain is Over” are dance floor friendly funk tinged earworms in the making and Suzi's contributions really are classic ‘Unc and Chunk’. 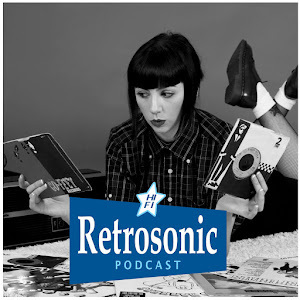 Nostalgia is a thread that runs right through the album, from the delightful black and white picture of Glenn's auntie on the cover, to the hauntingly poignant “Invisible Man” and wry humour of “Mrs Saywell Says”. I'm told that the story songs are inspired in part by the recollections of Glenn's parents and his skills as a storyteller as well as a tunesmith are much in evidence here. In summary, “A Clip Round The Ear” is flipping excellent. The lyrics are quirky and witty, the musicianship superb and the tunes catchy in the extreme. This is certainly an album that will bear repeated listening, and, as if that wasn't enough, the first hundred copies come with a colouring sheet and a balloon. Ten out of ten and a gold star." - Amy Kilroy-Buck. Q: “A Clip Round The Ear” is a pretty nostalgic phrase, evocative of a more innocent time where all you had to worry about was a clip round the ear from your parents, teacher or the local Bobby. Is there any concept behind the title and the album? G: The idea was triggered after I’d been chatting to my parents about their lives. I recorded an interview with them for posterity and got them talking about their childhood and our family life. They were born just before the outbreak of the Second World War and recalled the day war broke out. They also reminisced about how the milkman did his round on a horse and cart and their schooldays etc. etc. Then my Mum said “Oh and of course there was the Oil and Colour Man”. I had no idea what she was talking about but immediately thought to myself ‘that’s a song title right there!’ Apparently he went round door to door selling lipstick, soaps and…paraffin! I’d say that was the moment I got the germ of an idea for this album. Q: The Oil and Colour Man is just one of the striking characters that appear in the album alongside ‘our Gary’, ‘Mrs Saywell’ and the ‘invisible man’, where did you get the inspiration for these characters from? Q: It's a very eclectic album that takes in Bossa Nova, Freakbeat, Garage Rock, Soul and even dare I say...Easy Listening...where do you get such varied influences from? G: Music has always been a big part of family life on both sides. My Mum had three brothers who all had good singing voices and my Dad played piano and piano accordion. He also did an Al Jolson tribute act in the early ’50’s! The range of music was always varied in our house where Perry Como and Frankie Vaughan albums stood happily alongside The Who and The Anti-Nowhere League! At some point during family get-togethers we’d end up having a singalong around the piano. Along with listening to records this is how I learned about harmonies and how songs worked. It mattered not what type of music or if it was old or new, rock or easy listening, I just soaked it all up and I think that’s always been reflected in the songs I write and the type of records I make. 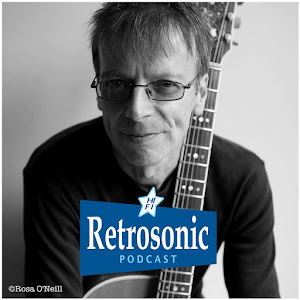 “A Clip Round The Ear” is partly to do with characters and stories but is also connected to the type of music that was around when I was growing up. That’s why there is fuzzy garage rock one minute and easy listening samba the next. There’s even a nod to early ’70’s soul ballads and The Chi Lites, Detroit Spinners in “I Thought It Was About Time” because that was in the air a lot when I was a pre-Punk era kid. 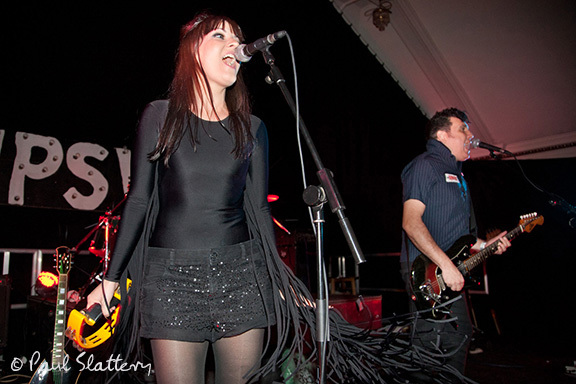 Q: Your regular vocalist Suzi Chunk is based in Cardiff so how did you get to know about her and work together? G: I first hooked up with Suzi via My Space, remember that? I heard some recordings she’d done with various bands and thought she sounded like a funky Dusty Springfield. I was puzzled to learn there were no stand-alone Suzi Chunk releases available and I thought that should be put right so I asked her if she’d like to make an album with me as songwriter. She said yes. Q: Does Suzi contribute music and/or lyrics to Groovy Uncle? G: We don’t write together but she occasionally contributes unwittingly to ideas. The title song from her debut album, “Girl From The Neck Down” came about directly from a joke expression of hers as did “One Vowel Away From The Truth” which referred from me having been born in Kent (geddit?). The line in “When I Saw Love” which goes “Up before the crack of daft …” is also a Suzi-ism. Q: With the Groovy Uncle “Persuaded” album you released a special vinyl edition based around the spy theme. It came in a brown paper bag with lots of extras. Are you planning anything similar with “A Clip Round The Ear”? G: Yes, the first 100 copies of “A Clip Round The Ear” is out on green vinyl and will come with the CD version, a postcard, lyric/colouring-in sheet and green balloon. Fun for all the family! Q: The last time I saw a Groovy Uncle gig was way back in 2013 at the Hipsville Weekender. I would love to hear these new songs played live, have you considered getting a band together to go out on the road to promote the album? G: We’ve done a few live things including some gigs in Cardiff that Suzi and I did a couple of years ago but essentially we are a recording outfit. A live version of Groovy Uncle is difficult because there are a lot of different musicians involved, all of whom play in numerous bands and have other commitments. I’d want a dedicated line up with intensive rehearsals and I’m not sure anyone could really commit to that, to be honest. Then of course there are the geographical and financial challenges as well. Q: Do you have particular musicians in mind for each album or specific track? 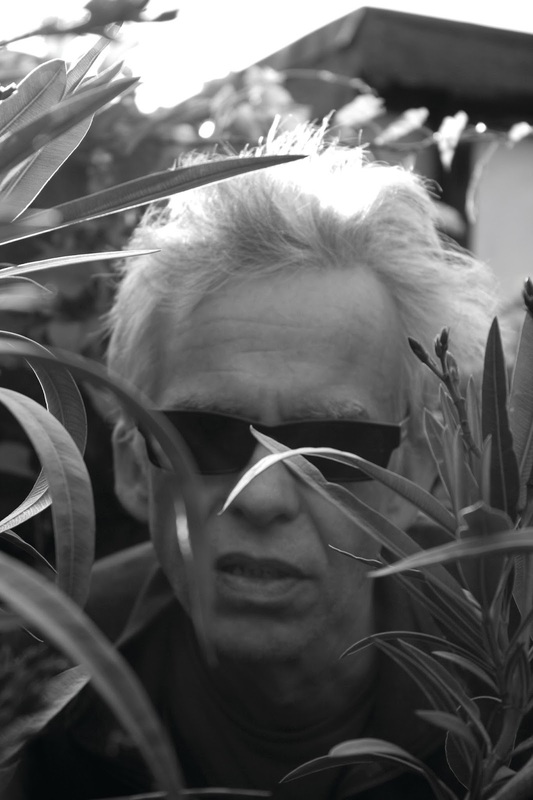 Do you have a strict vision in your head for Groovy Uncle and direct the musicians you work with? Is it a case of the old Brian Clough quote "We talk about it for twenty minutes and then we decide I was right" or do you encourage ideas and contributions? G: I usually know fairly early on during the demo stage which musicians I’ll use for the session. “Barefoot In The Car Park”, “Persuaded” and the “Look Back And Laugh” single for example, were always going to feature Bruce Brand on lead guitar. I’m not a good instrumentalist so I need to have really good players to interpret what I want. Mole Lambert and Wolf Howard on drums totally understand what I do as does Nick Rice on bass. It’s essential to have people on board who “get it”. I’ve been very fortunate with the horn section too - John Littlefair, Anna and Paul Jordanous - who are just superb. I’ve been lucky enough to work with jazz percussionist Roan Kearsey-Lawson who played vibes on a couple of things and he also scored the string quartet arrangement for “No Idea” from the “Persuaded” album. He tracked down the musicians for that session, all top notch classical musicians. Allan Crockford plays some mean guitar on the new album too. Yes, I consider myself a very lucky songwriter! Q: Do you produce the albums yourself? Which studios do you record in? G: The first two albums and singles were recorded at State Records studios in Sandgate. Mole Lambert produced and played on a lot of the tracks on those records as did Marty Ratcliffe. 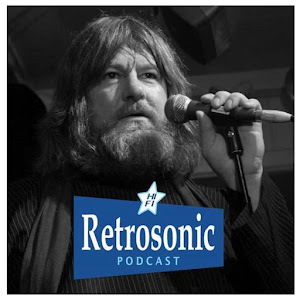 Mole is still involved with our stuff but after their studios were badly flooded and recording sessions ceased we moved to Jim Riley’s Ranscombe Studios in Rochester where we’ve recorded ever since. “Persuaded” was our first Jim Riley produced record. I’ve never been disappointed with anything we’ve recorded at either studio. Both studios have producers who are totally on board with us and understand what we want. I have a pretty clear idea of what I want most of the time but I always let the producer produce and I like everyone to chip in with ideas because they’re often better than mine! I always go into the studio with an open mind. Q: You have released records on Mole’s State Records but also Trouserphonic, is that your own label? Have you released any other bands on the label? If not is that something you would consider? G: We released the first two albums and singles on the State Records label. The third album “One Vowel Away From The Truth” was recorded at State and I had hoped they would like to release it too but it was decided against. I don’t think it fitted in with the type of stuff they were releasing at the time. So we had an album ready to go but no label and that’s when I decided to set up my own label and release it myself on Trouserphonic and that’s what we continue to do. I’m not against the idea of releasing other people’s stuff but up to now I haven’t really given it much thought. 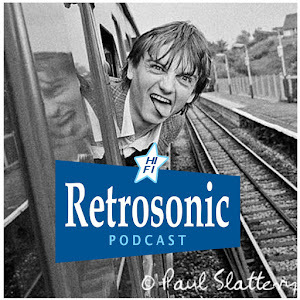 Q: Your first band The Off-Beats played gigs with The Prisoners, The Dentists and The Milkshakes, did you sense at the time that there was something special brewing in the Medway? G: There has always been a healthy music scene in Medway going way back long before the Milkshakes/Prisoners days even. So much artistic talent in this funny, peculiar corner of the country. When I started out I always sensed there was something special about the Medway scene but, to be honest I never thought anyone would “make it”. It just seemed like too much of a laugh for all that serious mullarkey. Everyone was having too much fun! Q: The Kravin' A's and The Off-beats were more traditional British Garage R'n'B bands but then Goodchilde - which featured you, Allan Crockford, Wolf and Jon Barker - seemed more of a "rock" band, lots of guitar riffing and occasionally - for example on "The World and His Wife" - almost a “Grunge/Nirvana” sound, were you taking your influence from what was coming out of America at the time? G: Goodchilde took in a lot of influences from the 90’s music scene, Grunge, Britpop etc. and I think we were trying to break away from what we’d been doing previously. We were Johnny and The Bandits, Medway’s premiere 60’s covers party band, available for all occasions! None of us thought very highly of the 80’s music scene and suddenly there were bands in the charts we actually liked so Johnny Barker and I began writing songs with a lot of that stuff in mind. Q: There's a Goodchilde track "Email Female" which wouldn't seem out of place on the new Groovy Uncle album, and Suzi Chunk did an updated version of the Kravin' A's "Tripwire", and the Off-Beats "Millionth Time" - do you look back on your old bands with fondness and have you been tempted to "re-form" any of them? I think The Off-Beats in particular would go down really well in today's scene. G: I have a lot of affection for all those bands. They were great times and I regret none of it. But I’m not one for living in the past and not a big fan of reunions. It’s strange how so many people attempt to cling on to what has gone and by doing so are missing out on now. Now is all we’ve got! Q: Did any of the early Groovy Uncle demos with Allan Crockford and Darryl Hartley ever see the light of day? With thanks to Glenn Prangnell and Amy Kilroy-Buck. 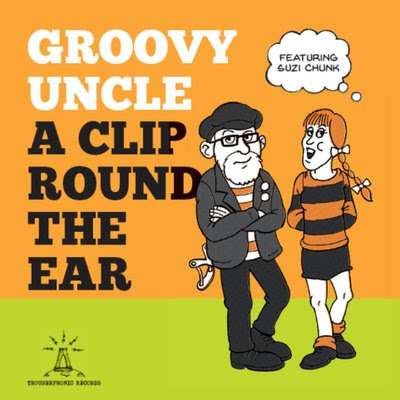 You can order "A Clip Round The Ear" and check out more info on Groovy Uncle at their new web-site here and Suzi Chunk here. 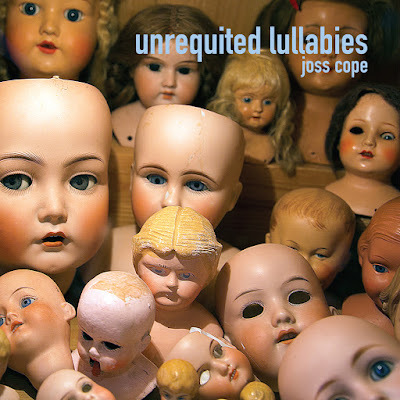 Joss Cope has just released a superb solo album entitled "Unrequited Lullabies" on Gare Du Nord Records and if you like uplifting Psych-tinged guitar pop then this will be right up your street. There are some beautifully crafted songs crammed into just under forty pure unadulterated melodic minutes. The album starts off strongly with the insanely catchy two-song salvo of "Learn To Float" and "Familiar Faces" which are both shot through with memorable guitar riffs and backing vocal harmonies. Next up is the dreamy "Cloudless Skies" which at first reminds me of Roxy Music's "In Every Dream Home A Heartache" before it builds and swells into a powerful crescendo. The moving, lovelorn "Your Broken Heart Is Not For Sale" really tugs on the heartstrings and is one of the album's highlights of which admittedly there are many to choose from. "Guy Like Me" and "What's The Plan" are both perfect upbeat pop songs that would trouble the top of any decent singles chart and "Started Something" has a twist of Syd Barrett. It's difficult not to mention the big brother as "Unrequited Lullabies" does indeed conjure up memories of Julian's excellent first two solo albums "World Shut Your Mouth" and "Fried" and if you like the intelligent pastoral Psych of acts such as XTC, Robyn Hitchcock, The Blue Aeroplanes and Stephen Duffy then I can certainly recommend this. Here's some background info on Joss and the album and then you can enjoy the superb opening track "Learn To Float". Born in the Midlands at the start of the swinging '60s, Joss Cope followed elder brother Julian to Liverpool aged 14 and got rapidly sucked in to the nascent Post-Punk scene there, meeting and playing with such future musical luminaries as Les Pattinson (Echo & the Bunnymen), Peter Wylie (Wah Heat) and Mike Mooney (Spiritualized). He would go on to form the short-lived but influential Freight Train with Donald Ross Skinner and Barrett Douce (later of The Mighty Lemon Drops) before he moved to London in 1985 and became part of the emerging Creation Records scene playing with Crash, The Weather Prophets, Rose McDowell and Biff Bang Pow before putting out two albums of his own work with Something Pretty Beautiful. 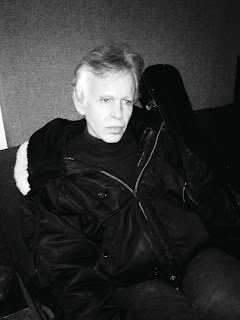 Joss also contributed to his brother Julian's albums "Fried" and "St. Julian" and co-wrote the songs 'Pulsar' and 'Christmas Mourning' with Julian and Donald Ross Skinner. In 1991 he formed psych band The United States of Mind with Ashley Wood (Chemistry Set), Dave Morgan and Greenwood Goulding (Rockingbirds). Only one eponymously titled album of blistering British psychedelia was released on the appropriately titled DyscFunctional imprint, before the band split in 1994. From the mid-90s to the noughties Joss art directed music videos for MTV, edited and voiced the BBC TV children's animated series Yoho Ahoy (2001) and, as a long term committed environmentalist joined Greenpeace as an online producer to work on key campaigns against over-fishing, deforestation and airport expansion. "Unrequited Lullabies" is released on Gare Du Nord Records and you can order the album on vinyl, CD or download from here. Thanks to Jon at No Other Publicity and Ian at GDN for the photos. Retro Man Blog's favourite Brazilian Retro-Futuristic Garage Pop band Autoramas have just released a great new Leandro Franco directed animated video to their track "Meu Broto Aprendeu Karatê" ("My Boyfriend's Learning Karate"). The song features on the first compilation album "Volume 1" from Burger Records Latam (Latin America) alongside tracks by The Froys from Mexico, The Aztecas from Chile, The Jaars from Colombia and many more. You can stream the album on Spotify here or get more information at the Burger Records Facebook page here and check out more of their releases at the official web-site here. More good news is that Autoramas are currently working on a new album and we will be sure to keep you updated with more news as soon as possible.